Heading into the final year of his first term in office, US President Trump will be pursuing a regional settlement in the Middle East, with a focus on Palestine. From the beginning of this administration there have been leaks and rumors out of the White House about the deal of the century for the Middle East. The first clear sign of this administration’s interest in finding a settlement by shaking up the situation was to announce the recognition of Jerusalem as the capital of Israel and that the US Embassy to Israel would be moved there. This was clearly a calculated move as the anger and pushback from those who opposed it did not appear to put any pressure on the administration. The next move from the Trump administration was to start talking about enlarging the circle of peace to an Arab-Israeli peace rather than specific to the Palestinians. Washington adopted Israeli Prime Minister Netanyahu’s rhetoric of the greater peace that Israel needs such that peace with the Arabs by default includes the Palestinians. This line of messaging from the US began on Trump’s first visit to the Middle East where he arrived in Tel Aviv from Riyadh, and Netanyahu, on receiving him commented that he looks forward to the day when the plane goes back to Riyadh from Tel Aviv. Trump’s trip was the beginning of renewed relations with Saudi Arabia and a more public understanding between Israel and Riyadh, as well as other Gulf countries and Arab states more broadly. Netanyahu’s visit to Oman, and more recently his attendance at the Warsaw summit together with high profile Arab representatives confirm that the US administration’s efforts to widen the circle of peace has been progressing. 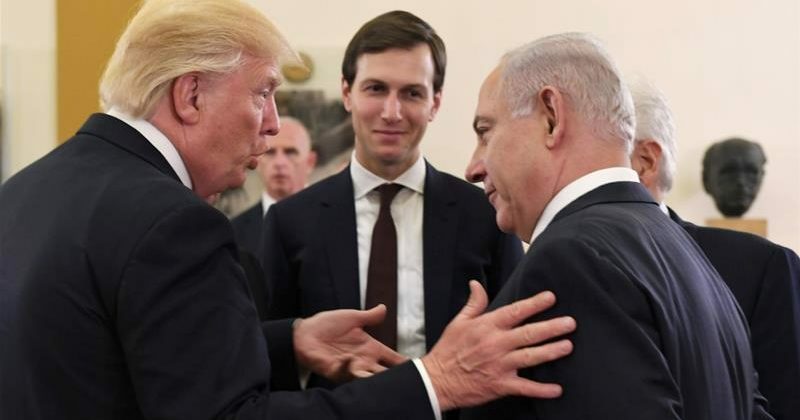 These developments are all preparatory work for the next steps which will likely be after the upcoming Israeli elections and during the final year of Trump’s first term in office. The US is giving itself more room to maneuver by increasing the pressure on Iran, which has an impact on Hezbollah after isolating Syria. While Russia is the other key player in the region now, their interests will be aligned with the US on the idea of wider settlement that includes the Palestinians, as the Russians are seeking to play a key role in broader settlement in order to reap the rewards of rebuilding the region. For a country like Jordan the biggest ongoing risk is not playing a role in these developments and being ignored or even worse, to lose out in a regional settlement. This would only lead to further isolation and a deepening of the internal crisis, as a country that is completely dependent on America and the aid and donations of other countries. Wasting time with the status quo in Jordan is not an option anymore, as the trajectory is only in one direction, downwards. With Palestinian President Mahmoud Abbas’ ailing health, there is likely to be change at the top levels of Palestine. By the time of the Israeli elections in April this year, we may see renewal in Palestine which could lead to greater appetite for settlement and resolution. As a country with a peace agreement and security coordination with Israel, Jordan will pay the price if it continues to approach Israel as an enemy and view with disdain its main donor and political influencer in the US. Jordan has misguidedly set itself against the direction the region is moving, and increasingly has little hope for the change required to ally with the resistance group of countries such as Iran and Syria, nor any success in building a relationship with Moscow, the other increasing power in the region. A country that relies entirely on the US cannot set itself against the US vision for the region and expect to come out successful, especially when it has weakened its traditional links with the region such as Saudi Arabia, UAE and Egypt. The geography of Jordan is essential in the region, but it could very easily turn against Jordan’s national security interests if it becomes more isolated and its economic crisis deepens. Jordan needs to adopt a more pragmatic approach with greater diplomatic skill in order to strengthen its position amongst its allies and ensure that Jordan is viewed as an important partner and critical to regional settlement. التسوية الاقليمية عبر البوابة الامريكية..تحديات محمد بن سلمان..